The American Health Council appointed Bobbie Freeman, MD to its Board of Physicians for her outstanding contributions to the medical field. An anesthesiologist at Freeman Anesthesiology, LLC in Florida, Dr. Freeman provides anesthesiology services in private operating rooms for plastic surgeons. While she has held her current role for nearly five years, Dr. Freeman has spent 14 years in the healthcare industry expanding her skills and knowledge in anesthesia, patient care and medicine. While volunteering in various healthcare-related roles during high school, Dr. Freeman’s curiosity in the healthcare industry grew. After earning an associate degree in biology from Tyler Junior College in 1998, she enrolled at Baylor University and earned a bachelor’s degree in biology in 2000. In 2004, she earned a medical degree from the University of Texas McGovern Medical School and immediately applied her academic training to establish a successful career. Board-certified in anesthesiology, Dr. Freeman delivers excellent patient care during stressful and strenuous situations. She first served as an anesthesiologist at Advanced Anesthesiology Associates, Inc., in 2009 and later accepted the same role at Millennium Anesthesia Care the following year. She remained there until 2012, until departing for Australia, where she served as an anesthetist at The Prince Charles Hospital until 2014. She relocated to Florida that same year and has been practicing anesthesiology with Freeman Anesthesiology, LLC since. Dr. Freeman is an active member of several professional associations, including the American Medical Association, the Florida Society of Anesthesiologists and the American Society of Anesthesiologists. Additionally, she sponsors preschool Parent Teacher Association events. Trilingual in English, Spanish and Italia, Dr. Freeman attributes her successful career to her ability to absorb and learn information. 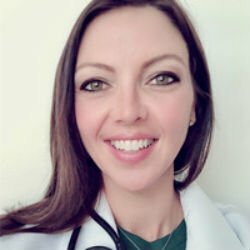 She is very humble, flexible and attentive to her patients, and is proud to continuously receive recognition from her patients. In the next five years, Dr. Freeman plans to continue to expand her business while remaining current with breakthroughs and anesthesiology trends. Earned a medical degree from the University of Texas McGovern Medical School in 2004. Served as an anesthetist at The Prince Charles Hosptial in Australia from 2012 to 2014. Expertise in anesthesia, patient care and medicine.